In Oklahoma , September means football season. We do not have a major league football team in this state, but that’s fine because our college teams are just as good. Almost everyone here either follows college football, or lives with someone who does. In my home both of us avidly support our alma mater, the University of Oklahoma, aka OU. The OU Sooners football program has won 7 national championships and 5 players have received Heisman trophies. More important, the team never fails to show their fans exciting, hard fought games. Even when they lose, they do so with plays that keep us fans guessing what’s going to happen next and wondering how such talented athletes can end up with the losing score. No wonder their motto is “Boomer Sooner”. 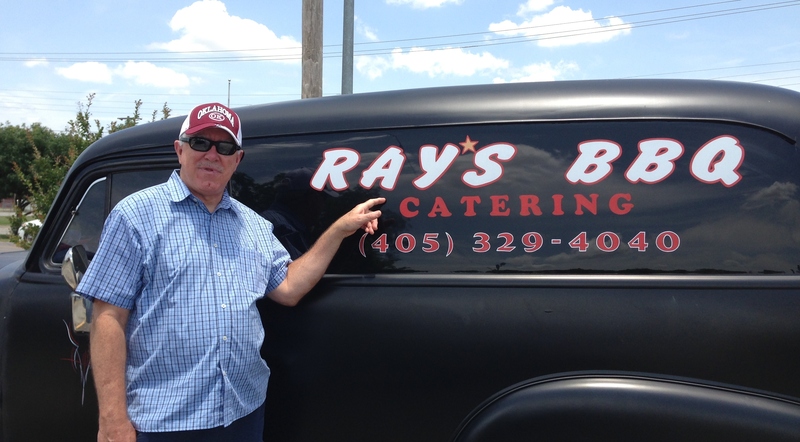 And a visit to Norman would not be complete without eating at Ray’s Smokehouse BBQ owned by former OU player and New York Jet Darrol Ray. Eat at Ray’s and tell them we sent you. “Stay in your books,” he said. “If you have even a glimmer of a dream of what you want to do later in life, don’t be afraid … if you want to do X, don’t let somebody tell you you should do A, B and C,” Ray said. You may find Barry Switzer’s autobiography interesting. It’s called Bootlegger’s Boy.